SBS Transit Bus Service 170X is a cross-border service plying between Kranji MRT and JB Sentral in Johor Bahru, passing through Woodlands Centre, Woodlands CIQ and Sultan Iskandar CIQ. It is usually referred to as 170 (Blue Plate) or 170* to distinguish it from its parent Service 170. 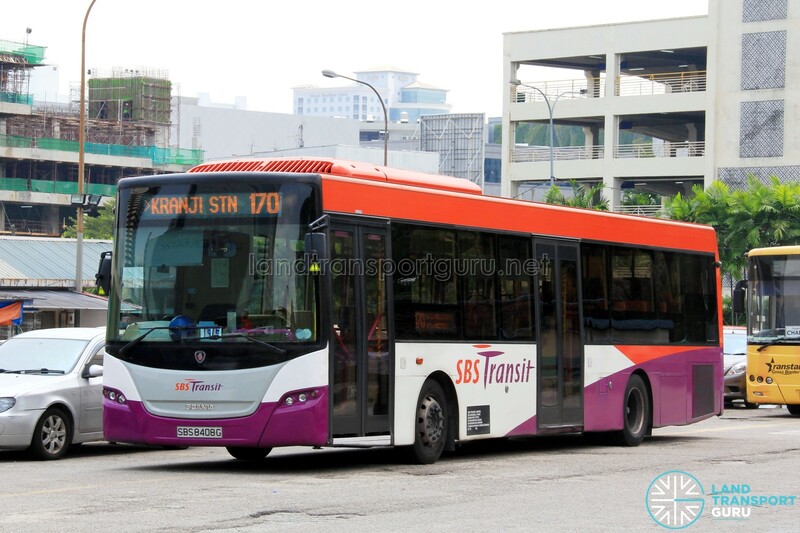 Service 170X is a cross-border route connecting Kranji MRT and Woodlands Centre to JB Sentral and JB Sentral Bus Terminal in Johor Bahru, supplementing the cross-border demand for Bus Services 160 and 170. Travelling via the Causeway, this route stops at Woodlands CIQ and Sultan Iskandar CIQ, where all passengers must alight and go through customs before re-boarding the bus. 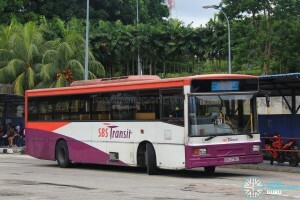 Although the route officially starts from Bus Stop 45131 (Opposite Kranji Station), most passengers board at 45139 (Outside Kranji Station) in practice, where Johor-bound trips start from. Due to varying traffic conditions at the Causeway, travel times and frequencies may increase significantly when jams occur. 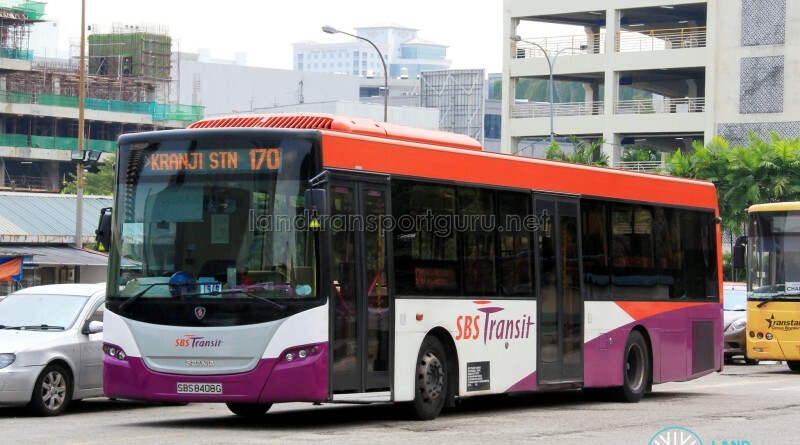 Bus Services 170, 170A & 170X towards Larkin, Woodlands Train Checkpoint & JB Sentral respectively regularly experiences a temporary route diversion along Woodlands Road, skipping Bus Stops 46021 – Bef W’Lands Ind Pk D St 2, 46031 – Kranji Lodge 1, 46041 – Opp Globalfoundries, and 46051 – Bef BKE due to traffic congestion. 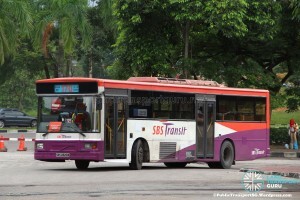 Refer to SBS Transit’s Twitter account for updates. At each checkpoint, passengers have to alight and clear customs before boarding the bus again. 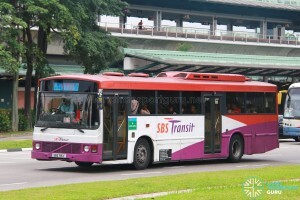 When crossing the causeway between Woodlands Checkpoint and Johor Bahru Checkpoint in either direction, commuters may board any SBS Transit bus (either 160, 170 or 170X). However, when leaving from a checkpoint, commuters must re-board Service 170X after clearing customs if they wish to continue their journey to JB Sentral Terminal and not incur a transfer. Tapping out from the bus at each checkpoint will suspend a journey, and can be resumed when a passenger taps back onboard the bus. Cash paying passengers should retain their ticket as proof or payment, and produce it when re-boarding buses at checkpoints. Service 170X starts at around 5:30am from Johor Bahru Checkpoint towards Kranji MRT Station, as compared to ~6:10am from JB Sentral Bus Terminal. Fare: Charges regular distance fares. See Bus Fares for exact fares. Buses deployed on cross-border routes must be registered with the Suruhanjaya Pengangkutan Awam Darat (SPAD), also known as the Land Public Transport Commission (Malaysia). 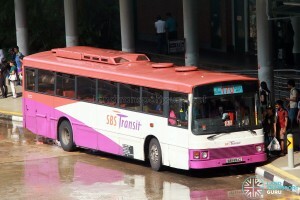 Currently, only some Scania K230UB buses are SPAD-registered. In accordance with Malaysian regulations, buses must carry relevant documents, be fitted with a third brake light at the rear, and attached with Malaysian stickers dictating the legal speed limit. 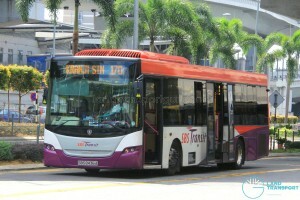 2000 (03 Sep): Parent route Service 170 split into blue plate (Kranji station – Kota Raya II terminal) and red plate (Queen St terminal – Larkin terminal). From then, there will be trips as well from Larkin – Kranji MRT and vice versa from Kranji MRT – Larkin. Amended to present routing in 2014; No significant route changes since 2014.